Our 10-day self-drive itinerary offers you an authentic experience of New Caledonia and allows you time to explore the main island at your own pace. Staying in local homestays or bungalows along the way, you'll enjoy excursions to the countryside and meet locals from the Caledonian culture of the 'Caldoches' on the west coast to the Melanesian culture on the island's east side. Foodies will love the many opportunities to enjoy tasty traditional meals and sample local produce whilst dining with your hosts. If you're keen to experience the ‘real’ New Caledonia this trip is definitely for you! This morning you will receive your keys for the rental car at your hotel. 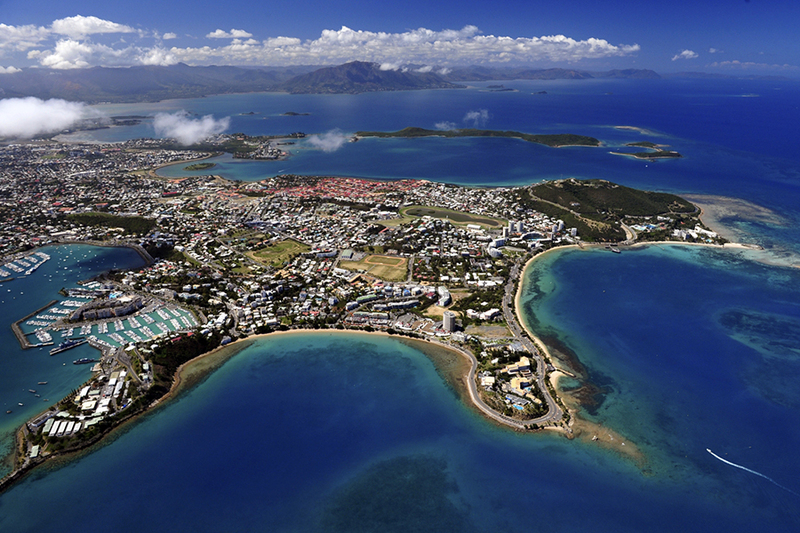 Set off from Noumea and make your way to Port Moselle. Here you can wander around the local markets and see he diversity of Pacific cuisine, from exotic fruits and vegetables to freshly caught fish and shellfish. If you visit the markets on a Sunday, you'll hear local bands play live - giving a great local flavour to your day! Here, you can use your included Nature & Culture pass to visit the Territorial Museum of New Caledonia. Take some time to admire the picturesque city square before sampling the local cuisine at one of the nearby restaurants (own expense). In the afternoon you will drive to your homestay in Paita where you can relax and check in before enjoying dinner with your local hosts. After breakfast at your homestay, drive north on the west coast road. This route will take you past long stretches of Niaouli tree savannahs and cattle farms typical of this region. At 9:30am, meet your guide in La Foa, where you'll be taken to the jetty for a 2-hour cruise along the river. Sail through mangroves and past forests before arriving at the mouth of the river where you'll experience an amazing view of the lagoon and the Fort Teremba site! After your cruise, stop for lunch in La Foa or drive on to Moindou for a bite to eat, before continuing to Bourail. Bourail is the capital of 'Caldoche country' and is known for its annual agricultural fair and rodeos. Tonight, enjoy a local dinner with your hosts at your homestay. After breakfast, head off to see the 'Roche Piercee' (the pierced rock) and the Bonhomme de Bourail rock formation. This coastline is made up of cliffs that plunge into the sea and long, sandy bays encircled by majestic pine trees facing out towards the turquoise lagoon - a great place for surfing. Take a walk along 'Three Bays Path' for a better view of the Bonhomme rock formation and Turtle Bay where turtles come to lay their eggs each year. Or perhaps walk the Botanical Path through the Cyca Forest for spectacular views across the Bourail Pass and Turtle Bay before jumping back in the car and heading up to Ouaco. This route takes you through the long, dry zones of northern New Caledonia towards your next homestay. Built in a mountain refuge style, this homestay will give you a real sense of outback life in New Caledonia. This evening, enjoy another local meal provided by your hosts. After breakfast, why not take a walk around the area close to your homestay to discover the plants - also keep your eye out for deer and their fawns, peacocks and Caledonian crows. Alternatively you can relax by the pool that overlooks the lagoon. Continue your journey up to Poingam and along the way you'll see wild plains and beaches such as Nehoue Bay. The village of Poum makes a great stop-off before driving onto your next homestay. This small property is located at the end of a dirt track, at the northernmost point of the main island near to the magnificent Nennon Beach. With only 8 bungalows, you're guaranteed a homely, intimate feel and time to enjoy a meal with your fellow guests this evening. Today is a free day to explore the region, after a delicious breakfast at your homestay! You can stroll along one of the educational walkways, discover the natural plants, visit the newly restored salt flats and observe the many birds and magnificent scenery along the way. If you're feeling less active, just relax around the seawater pool or on the beach. Dinner will again be provided this evening. After breakfast, drive the east coast - a stunning route with plenty of places to stop and admire the view. The drive will take you over the Col de Creve-Coeur (Heartbreak Peak) and the Col de Amos (Amos Peak) - both offering panoramic views of its surroundings. Your drive to Hienghene takes you between the sea and the mountains, through the historic site of Balade and past the Colnett and Tao waterfalls before crossing the Ouaieme River on a picturesque barge. At 2pm you will meet in Hienghene for a boat trip around Hienghene Bay and the village, with views of the majestic cliffs of Linderalique and the black limestone rocks of the Poule and the Sphinx. Check into your Gite for the evening, where an evening meal is provided in the Gite's own restaurant. After breakfast at the Gite, head down to Poindimie. Meet your guide at 9am at the Tieti Hotel, for a visit to a traditional Melanesian hut where you can take part in a costume ritual! Your guide will take you to meet a local tribe for the costume ritual and afterwards, you can see the preparation of the Bougna, a traditional dish cooked in an underground oven covered by hot stones. You'll have plenty of opportunity to learn about the tribal way of life and traditional customs, including a visit to a yam field where you can learn about local flora and medicinal plants. (Dinner this evening is at your own expense). After breakfast at your Gite, head to Poindimie Pier for 8am to board the 10-minute cruise to Tibarama island. Spend some time exploring the island, then head to the campsite for some green coconut water before helping to prepare lunch and looking after the barbeque. You'll have the chance to learn traditional fishing methods and even climb a coconut tree! After lunch you can relax on the island before heading back around 4pm. After breakfast, it's time to drive on to Sarramea. Leaving the east coast and head south, this picturesque route takes you along the waterfront, past several villages and tribes. You'll drive across the mouths of majestic rivers before travelling over the mountainous relief that stretches from the north to the south of the main island before descending into the grassy plains of the west coast. Once you arrive at your B&B in Sarramea the rest of the afternoon is yours to enjoy the area. After breakfast it’s time to head back to Noumea for your onward journey. You can drop your car off at the airport or get it collected from your hotel in Noumea. 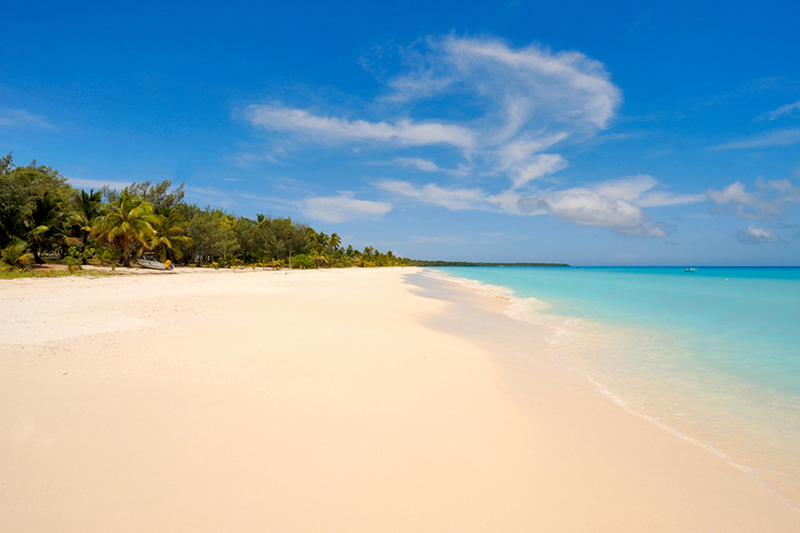 New Caledonia has a temperate climate with two main seasons, cold and hot. Cold season runs from June to August and hot from mid-November to mid-April. In the cold season temperatures are approximately 24c during the day and 15c at night, for those wanting to hike this the perfect time to visit. For travellers wishing to lie in the sun the hot season temperatures are between 26c and 30c. Cyclone season is between January and March. Overall the best time to visit is between September and December. Our itineraries are tailor-made to give you an idea of some of the possibilities in this diverse country! For you this means there are no date or time restraints as you are travelling independently. We have the flexibility to tailor your trip around exactly what you enjoy so let us know your dates, what you like doing and where you like staying, and we will do the rest! 9 nights’ accommodation in hotels, gites and guesthouses.